Cremant de Bourgogne is invariably consumed by Germans and Dutch. Since the Germans all have beards and identify themselves as ‘gender-fluid pansexual furry’ and the Dutch are all monomaniacal about speed skating, that is a sad fate for a wine from Burgundy. To be honest, most Cremant deserves such a hideous end, the vast majority of it is crap. There is the simple undrinkable rubbish made by the huge co-ops and the filth that is pretending to be Champagne made by weirdos with warped aesthetics. Domaine Arlaud Cremant does not fit into either of these categories. Arlaud Cremant’s most obvious difference from these two styles of rubbish is that it is a nice drink. 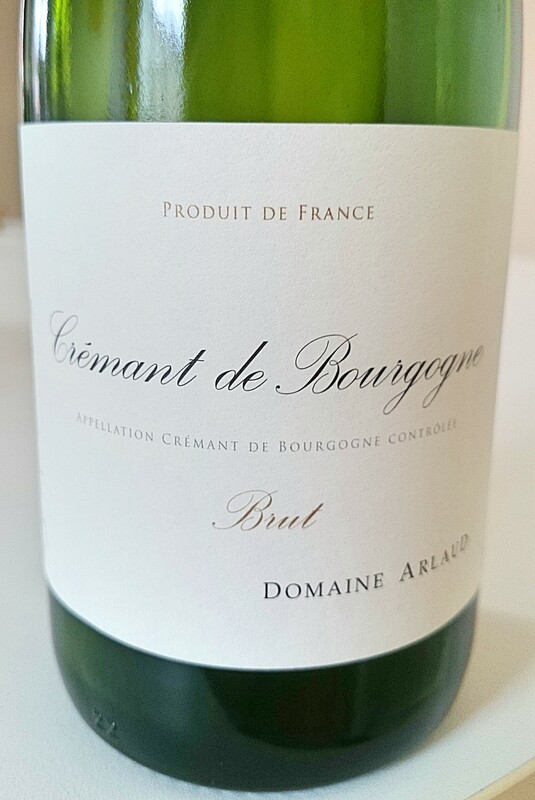 It is precisely what Cremant de Bourgogne should be, not a Champagne copy but a fresh, fruity, fun drink that refreshes and invigorates. Indeed, decent Cremant like this should be given its own appellation to aid sales: Prosecco di Borgogna. Like decent, young Prosecco, the primary qualities of good Cremant should be an expression of the young, fresh fruit. This Arlaud Cremant didn’t show all that much in the way of complexity, but it was a jolly nice drink that refreshed and kept our palates alive as we slogged through a rich cassoulet. Things like the Arlaud Cremant would be the prefect picnic wine, it has a summery, bright aspect and you can safely give a taste to the children as it’s a brilliant beginner’s fizz. It is simply a real charmer! Just for the sake of information, it is made from organically grown grapes, which may account for the little depth of flavour and slight complexity it shows. But Cremant, even Domaine Arlaud Cremant is not about depth and complexity, it is about fun and vivacity. On those counts, the Arlaud Cremant succeeds admirably. Drink within hours of scoring your stash and expect to giggle childishly!